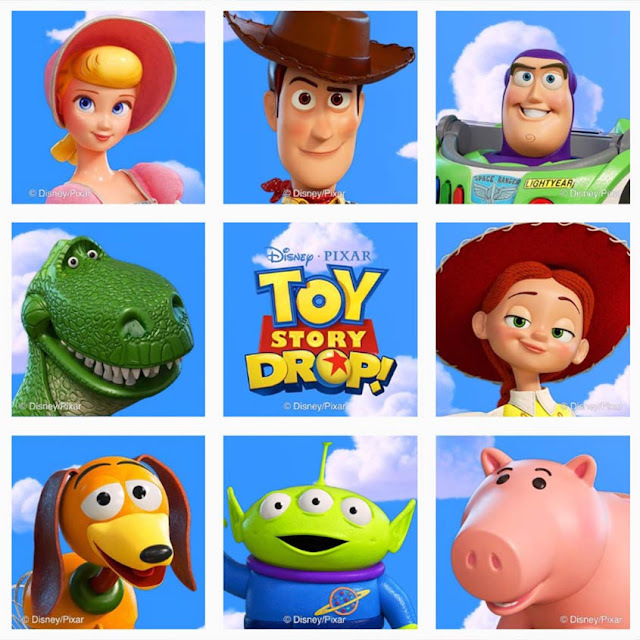 Picturing Disney: Disney Gaming Alert: Toy Story Drop is launching this Spring! Disney Gaming Alert: Toy Story Drop is launching this Spring! Are you ready for a new Root Toot Tootin Toy Story Adventure? Photo Courtesy of Disney-Pixar Toy Story Drop! 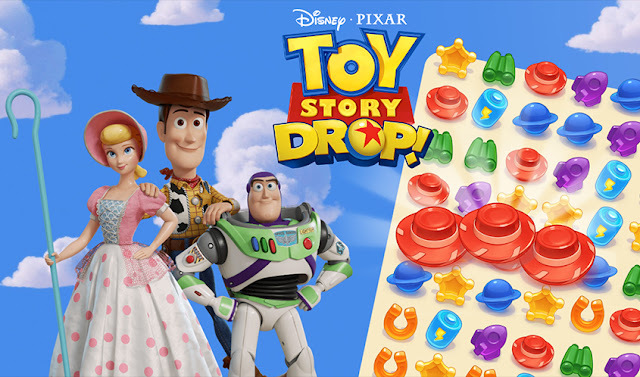 In anticipation of Toy Story 4, Big Fish Games, the publisher of Gummy Drop!, announced a collaboration with Disney to develop and release Toy Story Drop!™. Toy Story Drop! is an all-new free-to-play match-3 puzzle mobile adventure game that is sure to have us running around as excited as if we all had snakes in our boots. Players will help Woody, Buzz, and other favorite Toy Story characters overcome larger-than-life obstacles by matching, dropping, and clearing hundreds of exciting puzzles. Toy Story Drop! will bark players on an epic journey across iconic Disney•Pixar Toy Story locations including Andy’s Room and Pizza Planet! We sure can't wait to play this spring but in the meantime you can sign up to be a Toy Story Drop! insider for free. Insiders will get all the gaming scoop first! Exclusive news, reveals and advance notice on how to receive special in- game items at launch are waiting for you. Jump on board and you might even get some sneak peaks of some of the new Toy Story 4 characters! Toy Story Drop! released to a geo-locked beta on Google Play and the App Store. The expected worldwide release will come later this spring as part of the lead-up to the theatrical release of Toy Story 4 in June. Toy Story Drop! is expected to release on all major platforms, including Android, iOS, Amazon, and the Microsoft Store on Windows 10 at that time. Oh my goodness yay!!!! I have a toy story obsessed little guy, and nephew, anď this will be so much fun for them! Going to sign up as an insider right now! Thank you! I cant wait to play it! I still have huge reservations about Toy Story 4 but this game looks cute! Im with you. I did my crying saying goodbye to the gang in #3. Not sure I can handle #4. So excited to play this game! Love Toy Story and looking forward to the new movie! I'm nervous to see #4. I get emotional lol. Are You Ready For Playtime With Puppy Dog Pals?